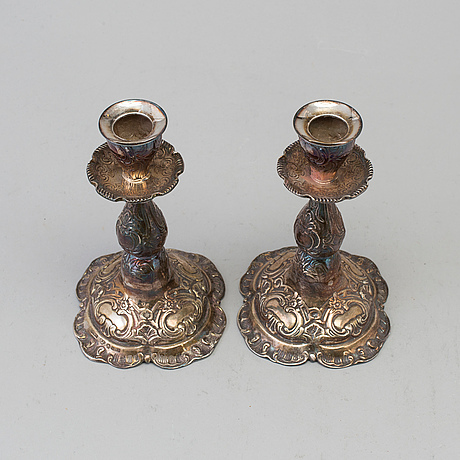 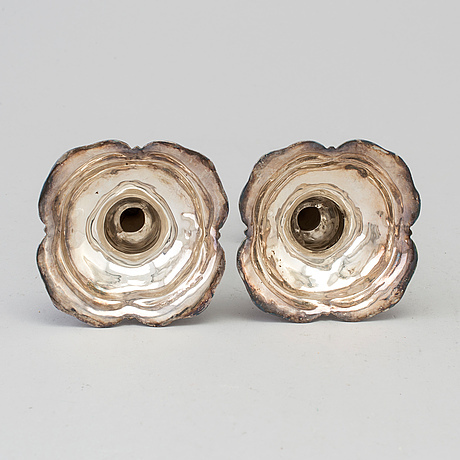 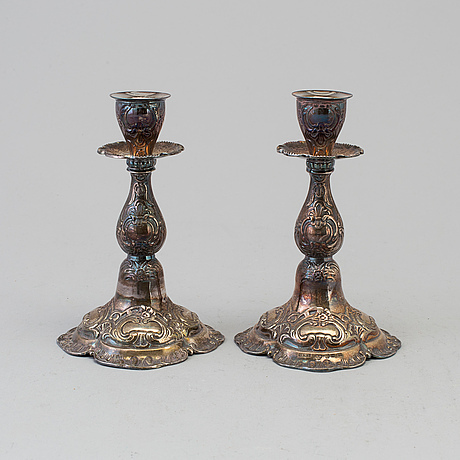 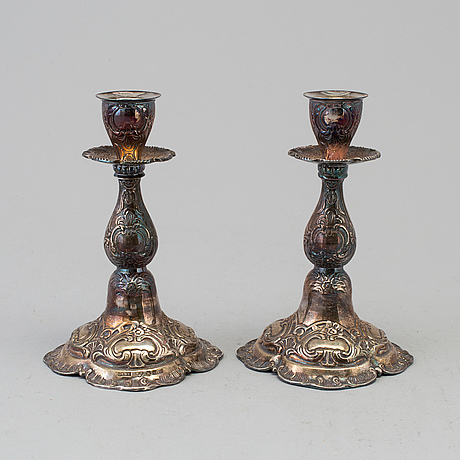 A PAIR OF SILVER CANDLESTICKS, GEWE, Stockholm 1973. Baluster-shaped. 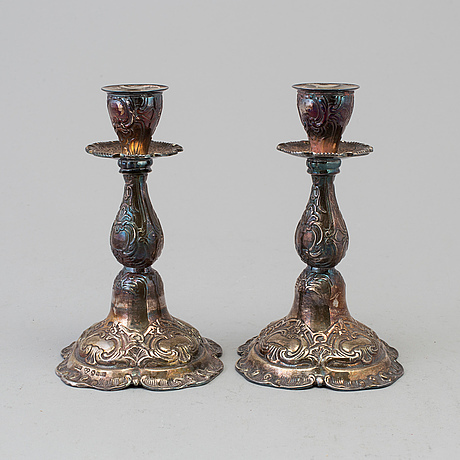 Decorated with cartouches and foliage. 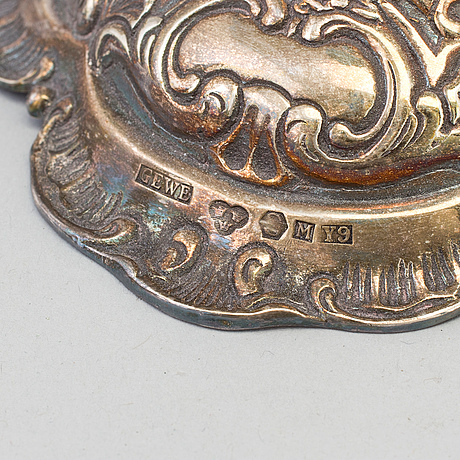 Height 16 cm.